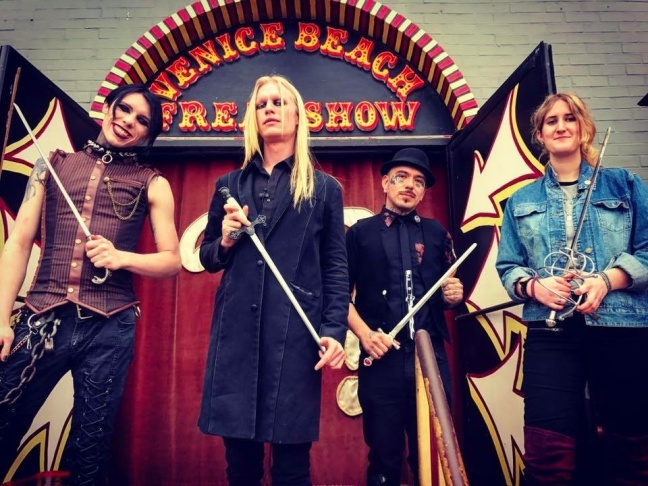 Famous sword-swallower Morgue (center) stands with other sword-swallowers in front of the Venice Beach Freakshow. 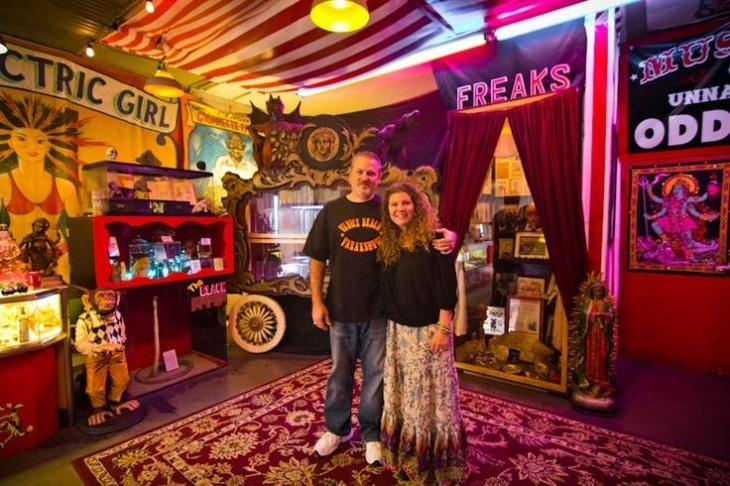 Venice Beach Freakshow founder Todd and his wife, Danielle. 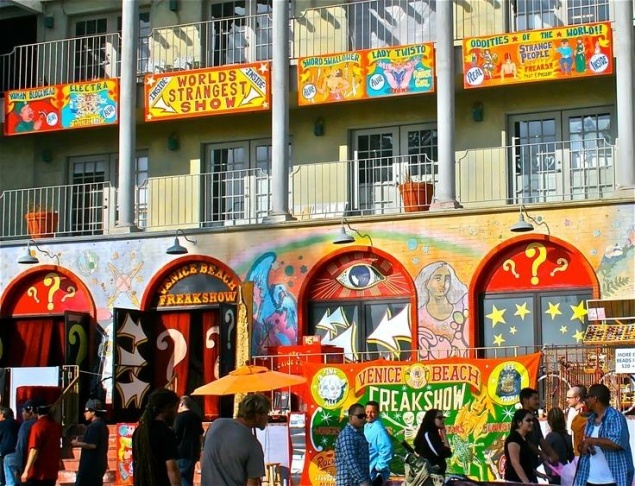 The exterior of the Venice Beach Freakshow on Oceant Front Walk. Wee Matt and Amazing Ali poses in front of the Venice Beach Freakshow. 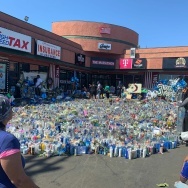 According to Freakshow founder Todd Ray, a new landlord has refused to renew the troupe's lease on its Ocean Front Walk building. "Venice does have a special magic that we've helped stir up over the last 11 years," Ray tells KPCC. 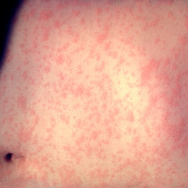 "To lose this right now is a devastating blow to the culture of Venice. 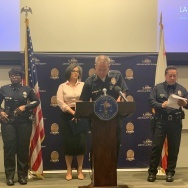 And I think it brings a lot of concern to the community of Venice about where are things headed." 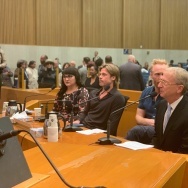 Ray founded Venice Beach Freakshow in 2006. Adopting the tagline "Say No To Normal," it soon became a haven for a motley group of performers who are proud to call themselves freaks. The cast includes renowned sword swallower Morgue, fire-eater Asia Ray, 3'5" "Amazing Ali" Chapman and 7'8" former Harlem Globetrotter George Bell. Ray also claims to have the world's largest collection of live two-headed animals. Ray has said he may take the show to Las Vegas. The Freakshow will hold its final performance Sunday, April 30, along with a rally against gentrification in Venice. This story has been updated to remove a suggestion that Snapchat had hired Snapshot Partners to acquire the leasehold interest in the building. KPCC has been unable to confirm that assertion.